The NordicTrack Pro 3000 Treadmill has an amazing frame, designed elegantly to save space and also has a easy lift assistance for easy winding up after workout. This treadmill is driven by a 3.5 CHP durable motor that has a maximum speed of 22 km/h. It is loaded with 44 workout programs, including 4 custom programs. The 7" iFit Tablet screen, powered by android is one of the most attractive feature of this treadmill that allow users to enjoy interactive training programs with experts. Its google map enabled system allows users for experience a real time workout. *Note: Most of the sites, stores or shopping portals listed above sell NordicTrack Pro 3000 Treadmill with discounts and other exciting offers. There is a possibility that the some of above websites are not selling NordicTrack Pro 3000 Treadmill now. Toughtrain.com is not liable for such cases or instances. 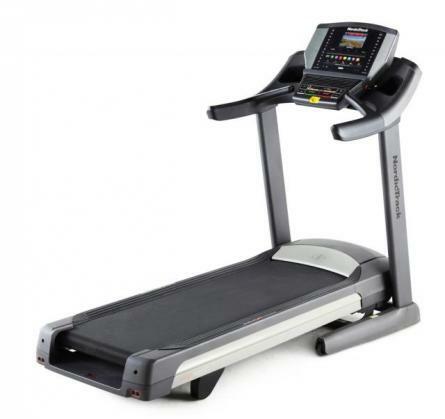 Also we do not recommend any seller for NordicTrack Pro 3000 Treadmill and a buyer should buy from where he/she gets best deal with quality of products, service and on time delivery (shipment).